I came across this published dissertation that while symptomatic of the state of academic process in terms of using some rather tired qualitative methods, it also showed that some interesting ideas do happen. Under neoliberalism, Schools of Management at least in the non-US context, can tolerate some interesting research and where occasionally, heterodox ideas can be explored, like New Mexico State University management professor David Boje’s explorations in postmodern theory. 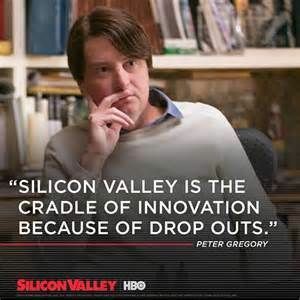 Needless to say, most business schools remain committed to neoliberal curricula of capitalist apprenticeship training. Similarly, venture capital and advanced technology has toyed with a variety of ideological concepts and to imagine that an anarchist notion can combine with science beyond Kropotkin becomes still fancifully pre-modern and utopian and yet still possible despite the anachronisms. Occupy or at least its lessons remains an example that can resist the current misogynist urge resident in many RW technocratic communities. We do need to engage with it beyond the academic because the forces of (neo-)reaction have made it clear that they are willing to ally themselves with the worst aspects of modern capitalism in order to achieve the worst of human objectives that we now see as the objectives of ethno-nationalism(sic). A similar controversy has played out in recent months on Reddit—another young, male techie-dominated site—as r/The_Donald has risen to become one of the site’s most active subreddits. Its participants are notorious for trolling other Reddit communities and attacking people based on their religion, race, gender, and sexual identity, as Gizmodo‘s Bryan Menegus has documented. Citing two former Trump campaign officials, Politico‘s Ben Schreckinger recently reported that Trump’s campaign team privately communicated last fall with r/The_Donald’s most active users to seed new trends and feed catchy memes from the site back to Trump social-media director Dan Scavino. While written in 2015, and now that we have the advantage of seeing the onset of Brexit and the Trump regime as the historical devolution of rational policy discourse, Swann’s work is worth considering if only because of a need to consider the problem of social media with greater political economic rigor. A first step could be to see that the relative autonomous, self-organizing collective organized within syndicalist networks perhaps can still lead the way forward, rather than the alienated tribal foolishness of reactionary barbarism made more unintentionally global by its ignorant, reactionary ideologies. notwithstanding, there have been important developments in terms of radical politics. there has been a surprising return of the mass party to left-wing politics and 2015 has been described as the ‘year of elections’ (Milburn, 2015). In Greece, Syriza emerged on the back of large protests against austerity to win the elections in January and (despite the radical left splitting from the party) in September 2015 (although by the time anyone reads this the situation in Greece may have changed again). In Spain, Barcelona en Comú won municipal elections in Barcelona in May 2015 and Podemos is expected to do well in the elections in December. In the UK, the Green Party of England and Wales has seen a surge in membership and in popular support, even if the electoral system makes it difficult for them to have a major breakthrough, and the Labour Party seems to be swinging to the left with the election (on almost sixty per cent of the vote) of Jeremy Corbyn as leader in September. In Scotland too, following the independence referendum in September 2014, the Scottish National Party’s membership has increased five-fold, it has won all but three parliamentary seats in Scotland at the May 2015 General Election and is expected to win more than 50% of the popular vote in the 2016 Scottish Parliamentary Election, largely a result of an (albeit dubious) anti-austerity, left-wing stance. represent a return to mass parties of the left and radical left. If so, might anarchist cybernetics be of use yet in exploring the organisational dynamics of a more institutionalised radical left politics? (2) it helps them realise their ethical and political goals. Given that both of these are crucial to how radical social movements are currently seeking to engage with party and parliamentary politics, how might the balance between autonomy and centralisation work in the context of organisations that have traditionally been highly centralised? Institutions have a built-in, hierarchical dynamic: they obey an iron law of oligarchy that generates role de finitions – role definitions which claim authority and cluster together at the top.By contrast, interaction which follows its own inner logic is unrestricted and in principle free. An analogy may be drawn with conversation: a “good” discussion follows its subject-matter wherever it leads. It gives its law to itself. So it is, we suggest, with interaction. Interaction which is truly interaction has an unstructured character. That is to say, it is not confined to previously established channels. It decides on its own patterns and consults itself. interesting that they use similar concepts such as that of role functions. I would suggest that what Gunn describes as interaction, as free conversation, can be understood as self-organisation. traditional party structures, on the other. If, as he argues (see also Gunn, 2014b; Smith, 2015), the question for radical movements is how to engage with party structures while maintaining the forms of self-organisation they are based on, this may be somewhere anarchist cybernetics can contribute. In Jeremy Corbyn’s first outing at Prime Minister’s Questions as UK Labour leader, he crowd-sourced questions from members of the public. While one example, and hardly a radical one, this points towards the kind of mechanisms an anarchist cybernetics might suggest. Just as anarchist and radical left organisation needs to find a balance, according to the analysis I have present throughout this thesis, between autonomy and centralisation, so too do movements like those across Europe that find partial expression in political parties. Anarchist cybernetics may, therefore, be able to play a role in developing an account of the kind of party structures, and importantly the kind of communications infrastructures, that would allow political parties to be sites of participation and democracy rather than sites of top-down command and control. But crucially, for this to happen, radical movements cannot be subsumed within party structures. They must continue as autonomous and self-organising collectives and engage with institutions without sacrificing their interactional elements. This thesis develops the concept of anarchist cybernetics in an attempt to elaborate an understanding of the participatory and democratic forms of organisation that have characterised radical left-wing social movements in recent years. Bringing together Stafford Beer’s organisational cybernetics and the organisational approaches of both classical and contemporary anarchism, an argument is made for the value of an anarchist cybernetic perspective that goes beyond the managerialism cybernetics has long been associated with. Drawing on theoretical reflection and an empirical strategy of participatory political philosophy, the thesis examines contemporary social movement organisational practices through two lenses: control and communication. Articulating control as self-organisation, in line with cybernetic thought, an argument is made for finding a balance between, on the one hand, strategic identity and cohesion and, on the other, tactical autonomy. While anarchist and radical left activism often privileges individual autonomy, it is suggested here that too much autonomy or tactical flexibility can be as damaging to a social movement organisation as over-centralisation. Turning to communication, the thesis looks at social media, the focus of another kind of hype in recent activism, and identifies both the potentials and the problems of using social media platforms in anarchist and radical left organisation. Importantly, the thesis takes social media as information management systems and speculates on several core aspects of alternative social media that might be more suited to the kind of activism anarchist cybernetics helps elucidate. By introducing and expanding on the idea of anarchist cybernetics, the thesis provides an account of what anarchist organisations have been, what they are and what they could be. Aside from the usual allergy to “big words” it is important to consider how science has become a problematic construction as now even the EPA has now removed “science” from its webpage. 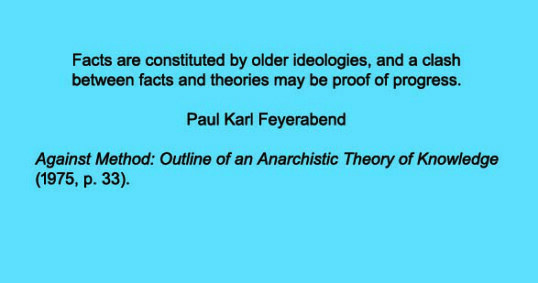 The use of the term anarchism in the name reflected the methodological pluralism prescription of the theory, as the purported scientific method does not have a monopoly on truth or useful results. Feyerabend once famously said that because there is no fixed scientific method, it is best to have an “anything goes” attitude toward methodologies. Feyerabend felt that science started as a liberating movement, but over time it had become increasingly dogmatic and rigid, and therefore had become increasingly an ideology, and, despite its successes, science had started to attain some oppressive features, and it was not possible to come up with an unambiguous way to distinguish science from religion, magic, or mythology. 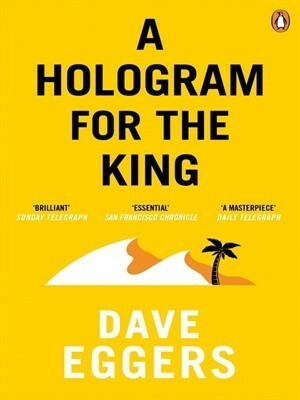 He felt the exclusive dominance of science as a means of directing society was authoritarian and ungrounded. Promulgation of the theory earned Feyerabend the title of “the worst enemy of science” from his detractors. 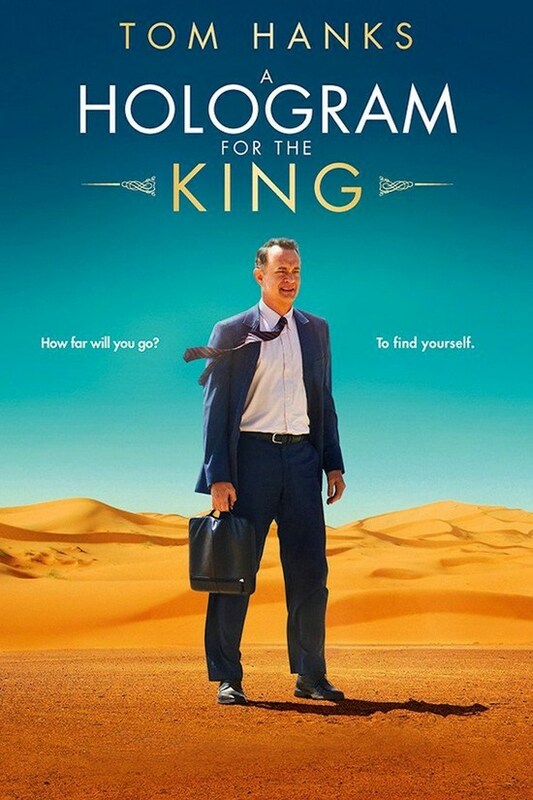 Just in case you needed a cultural example, this worst-grossing Tom Hanks movie might be instructive to how modern capitalism doesn’t work and how our current circumstance where insecurity about cultural identity has now become national policy and affects everyday life in so many micro-aggressions. Our takeaway is that Alan is a former big shot for Schwinn whose career and personal life have gone sour, and who’s desperate to sell the Saudi king on some teleconferencing technology he’s now peddling. But this isn’t just one more cinematic case of a savvy Westerner landing in some alien cultural backwater, ostensibly adapting but really just schooling the locals. Alan is the one playing clueless foreigner, as everyone from the king’s inscrutable staffers to Alan’s offbeat hired ride (entertaining American newcomer Alexander Black) seems to know the rules to a game that he’s just not grasping. Picture Alan’s team cooling their heels (or not) in a stifling desert tent next to a gleaming, underoccupied office building. It’s like an international-relations microcosm imagined by the Coen brothers, down to an occasional sense that the absurdity isn’t taking us anywhere. The Viable Systems Model is based on a tiered conception of an organization in which different tiers or levels are responsible for different functions ranging from ground-level operations to facilitating communication between different operations to decision-making about the strategic goals of the organization. Beer’s classic model, presented in his 1972 book The Brain of the Firm, assumes that while those at the bottom of the organization, the individual operational units, should be granted autonomy to work in their niches as they see fit. Higher level activities such as determining strategy should however be undertaken by a group of trained managers, separate from the workers on the shop floor. As anarchists like [Colin] Ward and [John] McEwan highlighted, by insisting that the different levels in the organization be seen as functions into which different individuals can step at different times, rather than as fixed offices, those involved in the day-to-day operations of the organization can be the very same people involved in strategic decision-making and other levels of the organization. In this way Beer’s politicization of organizational cybernetics can be taken in an even more radical direction and can form the basis for understanding the dynamics of effective and stable democratic organization. This entry was posted in Austerity, Capitalism, Conspiracy, Democracy, Economics, Fascists/Corporatists, Government, History, information Technology, Internet, Media, Political Science, Politics, Propaganda, Science, Silicon Valley, Society, Sociology, Technology, United Kingdom, United States and tagged alt right, anarchism, anarchy, cybernetics, management, Media, movies, Politics. Bookmark the permalink.